How can you succeed in your quest towards obtaining a higher degree? Are there desirable traits that you should cultivate to reach your goal? See if you have the following qualities of successful graduate students. Every time new graduate students enroll in the subjects I teach, I always give tips for them to ponder and adopt while pursuing a higher degree. I do this primarily to encourage them and ensure that they finish what they have aimed to achieve, that is, to finish an advanced degree. What are the qualities or characteristics that a graduate student must have in order to succeed? I draw upon my experience and my observations of students who have made it through the graduate school. You may already have some of the traits below but consider other characteristics that you might have missed. A successful graduate student is flexible in his dealings with home, work, and other duties requiring his attention. He should be able to easily shift from one task to another. Graduate school work is demanding so you must develop this skill to succeed. While waiting for the computer to boot, arrange things in your table. Despite the grueling work involved in graduate school work, a successful graduate student should find time to relax. The old saying “All work and no play makes Johnny a dull boy” holds true. Taking rest replenishes your energies to do more. I find my 30-minute trip to dreamland invigorating. A quick nap relaxes me and sharpens my wits once again to write much more efficiently. Give yourself a rewarding rest and relaxation each time you accomplish something. Even a visit to a beach and seeing the horizon can give you a good break from a hectic day. Planning saves time. Breaking tasks into manageable bits keeps the momentum going. Work on the most urgent and important ones. Imagine your goal and picture yourself reaching that goal. Your body follows what your mind sets you to do. Think of the benefits you will gain once you finish your advanced degree. This can keep you motivated to go on despite the hardships along the way. Always be positive, stay on course and finish what you have started. The end result of pain is gain. Don’t be exasperated by lots of reading materials. Enjoy your readings and extract important theories or concepts from them. This activity becomes much more meaningful if you ask yourself some questions before reading. Questions like “What do I want out of this reading material?” or “What significant piece of information do I need to derive from this book?” can spare you from wandering about the text. Read with a purpose in mind. A good graduate student has a keen eye to notice mistakes. He does not take things for granted. He is meticulous to see even a wrong punctuation or illogical statements in his write ups. He writes the References section completely, with all the commas, periods and semi-colons in their proper places. A successful graduate student manages important resources like time, money, and effort efficiently. He keeps appointments, arranges files for easy retrieval, and works on assignments quickly. He passes class requirements on time. The end result of a master’s degree or a doctoral degree is the capacity to do research. Research is performed to discover new things or new relationships between variables. If you have that passion to discover something new, then that will keep you going in your chosen field of specialization. Discovering something new is satisfying. Integrating scattered data or information takes some skill. Once you develop this skill, it will be easy for you to develop concepts that will guide you through research work. Concept building requires higher thinking skills like analyzing, synthesizing and evaluating different works on a given phenomenon. Last but not the least, graduate students should be physically and mentally fit so as to take on the stress associated with graduate school work. Walking or running for a total of 150 minutes each week can give you the energy and conditioning to take on long hours of reading and writing. This article introduces an out-of-the box idea in designing an instructional material. More often than not, books are used to contain lessons or bits of information that teachers would like to impart to the learners. 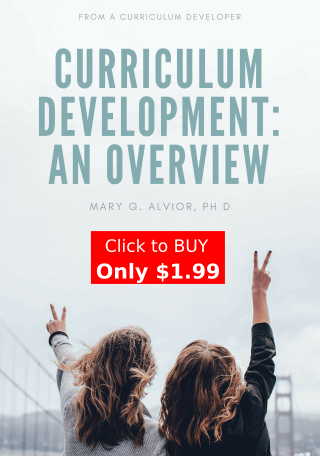 However, the rise of social networking and e-learning prompted Dr. Alvior to design an instructional material that would address the teachers’ and students’ needs to keep abreast with current developments in educational technology – the e-learning approach. According to Meriam Webster Dictionary, a catalogue is a complete enumeration of items arranged systematically with descriptive details. It is also defined as a pamphlet or book that contains a list of information. In my instructional design, I operationally defined it and added the word electronic. Thus, e-catalogue is a pamphlet that contains information for teaching and learning. Specifically, it includes the learning objectives, motivation, procedure, evaluation (assessment), and enrichment activity. This e-catalogue is taken from a syllabus that contains the skills needed by the students to succeed in the workplace. For example, if the subject is English for Business Communication, students need to develop their skills on how to write an opinion letter, order letter, letter of request, among others. Likewise, the skills to be developed are translated into learning objectives using the three domains: cognitive, affective and psychomotor. Cognitive refers to conscious mental processes such as thinking, understanding, learning, and remembering. Affective pertains to a student’s feelings, moods, and attitudes while psychomotor relates to learning that entails thinking with action or movement to demonstrate physical skills. Writing prompts are sets of instructions for writing. Prompts provide information as to whom the students should address the letter (the intended readers), and as to why the students are asking or giving the information (purpose). Likewise, authentic or real-world situations are integrated in the prompt. Students should address the prompts well by portraying and/or giving only the information that is asked of them. Writing activities involve discussion of materials taken from newspapers, comic strips, puzzles, blogs, power point presentations, documentary films, internet and others). The purpose of this activity is expose the students to the different types of media so that they won’t easily get bored with the lessons. In addition, the writing drills progress from simple to complex. Revisions start with words, then phrases, and finally, sentences. Also, it uses the process approach in writing, that is, 1) pre-writing, 2) writing, and 3) post writing in which students’ outputs are marked using a holistic rubric. An e-catalogue is easy to use and has no cultural biases. Students can easily understand the concept because it is designed as to what, why and how a particular topic like business letter should be written by providing examples and activities. Due to the fact that most of the students nowadays don’t like to read a lot, the presentation of the lesson is capsulized. Students need not filter the information that is deemed important for them. So, why don’t you try this? Sometimes, it’s good to do something different. This innovation in instructional design was presented in 2007 to Dr. Bibiana Espina of West Visayas State University. Are you concerned that you may not be able to finish your graduate studies on time? Here are four tips to keep you on track. How can you finish you MS or PhD on time or even before the prescribed period? As a graduate student, you may be quite concerned especially those who have a fixed number of years to finish their degree as part of the requirements of a grant or scholarship given them. This is possible, as long as you are determined to finish graduate studies as a desirable goal in your life. If others were able to do it, why can’t you? Remember that the main reason many people pursue an advanced degree is such that they are able to do independent research. Aside from personal satisfaction of maximizing your potential as a student, you actually are preparing yourself for a life of research, of discovering things and ultimately contributing to the improvement of human life on this planet. However, many MS and PhD degree holders just get their degree for the sake of getting that degree for promotion purposes, to get a permanent teaching position in a college or university or just plain vanity. These degrees are not designed to be taken for such purposes. Learning the art and skills of research requires responsible application of what has been learned. So if you are inclined and is ready to take the challenge of finishing an MS or a PhD in your chosen field, here are four tips that will help you finish your course in due time and dispel of your worries. These are products of experience topped with a little imagination. During the early part of my advanced schooling to finish my PhD, my professor noted that ideally, graduate students should already have their research topic ready upon entering the graduate school. This is important so that the student is able to select the appropriate subjects required to be able to effectively conduct research on the topic envisioned to be explored. Find a good adviser and refer to your university’s or scholarship granting institutions’ research agenda on topics to be pursued if there are prescribed directions for the preparation of the thesis or dissertation. It is better to be aligned with such priorities especially if you expect funding assistance from these institutions. Many people say that procrastination is bad. But procrastination can be productive too — at a certain point. The point is, if you postpone doing things at a later date, there may be better options along the way that you could consider or integrate in your decision. So, it’s better to take action, within a time frame, because you gain more information as more time is allowed to pass. More information means better decisions. You can write your manuscript better with intensive editing. And there will be less time-consuming repetitions or revisions of your manuscript. You are then able to save time. There are many free tools available now to facilitate planning activities within a time frame. One of my favorites is XMind, a free mind mapping software to help your ideas take form. It is freely downloadable while extended features can be enjoyed using the Pro version. Plan your time frame to finish your advanced degree using this tool. I prepared a simple sample of a fish bone plan guide for graduate students below showing the critical points of graduate school work (see below). You can add more detail such as adding the time you will do the things required to finish your course and including details on what you will do under those major milestones in your study. You may print this and stick it on a wall to remind you always. A simplified plan to finish graduate school work. You also need to de-stress once in a while. All work and no play can make Johnny a dull boy. Take time out with friends and relax. After all, what are you studying for. Is it not that you want to have a good life to enjoy? Little joys can compensate for a hectic work schedule. Taking too much stress can be bad for your health. If you gain too much fat, you will have a host of other problems associated with it. That will be another source of stress. Apply these tips and you will be well on your way to the path of academic success. This article provides guidance on how to write a good abstract. See how it’s done. After you have written fully your research paper, thesis, or scientific paper, there is a need for you to write the abstract. How is the abstract written? What are the important elements of a good abstract? If this is the first time or you do not feel confident about the abstract that you have written, here are important points to remember and adhere to in writing the abstract. An example is provided for your guidance. An abstract is a short summary of your research paper, thesis, or scientific paper. How short should it be? If you are submitting it for inclusion in a conference presentation, the convention is to limit its length from 250 to 300 words. It is possible, however, to capture the essence of the paper in less number of words. This means that you will really have to make it as short as possible without leaving out the important items that will cause readers to read the paper. The abstract serves as a teaser, a taste of the pie for readers to decide whether they will read the whole piece. Recommendations are not included in the abstract. In writing a good abstract, therefore, the critical sections of a research paper should be present. How is this achieved? You can simply start off by writing each of the above mentioned sections in only one sentence. This means that your abstract can be written in four sentences. Conclusion – after those findings were obtained, what conclusions can be drawn? This report discusses a two-year study on the effect of exposing four to six-year old children to violent computer games. The study involved 200 children in nursery schools whose aggressive tendencies and anti-social behavior were observed with their teachers’ cooperation. The computer games they played at home were likewise assessed with the help of their parents. A strong correlation between violent computer game use and aggressive tendencies was obtained. Violent computer games, especially the interactive ones, caused greater aggressiveness and anti-social behavior among children. I hope that should get you started. Have your own style by deviating a little from the convention. The point is, the abstract should be interesting enough such that the reader will want to read your investigation and learn from it. As a graduate student, how do you manage your time? Here are five tested time management tips from someone who has been there. Once you decide to get yourself ahead by enrolling in the graduate school, you are bound to meet the time management challenge. It is a must that you use the best time management approach you can lay your hands on. Time management is a very crucial consideration because you cannot hope to carry out everything considering many things demand your time. These things include your work, home life, leisure, social life, love life, hobby, spiritual life, and many other things you committed yourself into. Many of those who enroll in the graduate school are already professionals and are working. As a graduate student, how will you survive all those demands on your time and reach your goal? Based on my experience, here are time management related techniques that enabled me finish the two levels, master and doctoral levels, within a reasonable period. You always see this suggestion in any time management book out there. What is prioritization for the graduate student? This means that once you enroll in an advanced degree of your choice, you should devote enough time to it. This will entail changing your daily routine. Two decades ago, on any given day, fellow workers would invite me for a drink after work (and I did many times) but I reflected that all those merrymaking and gossiping amount to nothing. At one point, I just have to decline the invitation and tread a different path. My answer is a definite, categorical NO, and they respected my decision. You need to be honest with yourself and others to reach your goal. Practice saying NO to all those activities or demands on your time that do not align with your goals. If you are a working graduate student, there is really no need to stress yourself out by taking too many subjects at the same time. Just enroll in a manageable number of subjects in your curriculum that you can finish within a reasonable time. I recall that I finished my master’s degree within five years. I believe that is a reasonable amount of time because I had a full eight-hour work week and I can spare time for only two subjects a week. I consistently attended those classes and tried hard to comply with the requirements despite the occasional field work that brought me out-of-town. There is a limit to what you can do within a given day. But you can multiply your effort by hiring others to do work for you. In gathering related literature to develop the conceptual framework of my dissertation, I sought the help of a group of enterprising students who offered gathering research materials for a fee. Surely it saved me time, especially commuting time, that eats up a lot of unproductive hours. That was the time when the internet is not yet a reliable source of information. Now, it is relatively easy to gather a pile of literature useful in building up your conceptual framework through an internet connection. If you don’t have time even to surf and/or don’t know how to do it effectively as you find yourself in a sea of confusion in the world wide web, ask a competent colleague or service that can do that for you. Just specify which types of literature you would like to have in your collection. Ask your service provider to focus on factual information. If you want to do the screening yourself, read my earlier post titled 10 Tips on How to Discern Fact from Fiction. Always be one step ahead in addressing any of these concerns. It is good habit to aim to submit your requirements before the target date. If there are glitches along the way such as a damaged computer hard drive due to a virus that wiped out all those well-thought composition of yours, then you have more flexibility. This habit also relieves you of the stress associated with doing work at the last minute, that is — stress. Too much stress kills. As you will have to do a lot of reading assignments, it pays to have certain guidelines to follow on how to do read more effectively. For tips on how to do this, read Five Effective Reading Tips for Graduate Students. If you apply the tips, you’ll finish your reading assignment in no time. I bought and have read a good number of time management books in my effort to manage my time well. Among those books, Bliss’ Getting Things Done stood out and were very useful to me. I like the way he presented his practical tips because he wrote concisely about each tip and offered excellent advice. Ultimately, a very strong motivation to finish a master’s or doctoral degree will propel you to your goal. Finishing graduate school opens new opportunities for personal and professional advancement as well greater opportunities to earn through consultancies. Since time is of the essence, start graduate school work as early as you can. You may do so once your finish college, but a good work experience of three to five years in your line of specialization will enable you to discuss topics more meaningfully with fellow graduate students. 1. Bliss, E. C. (1976). Getting things done. New York: Bantam Books. 198 pp. Graduate students need to do a lot of reading to familiarize themselves with theories and ideas along their field of specialization. This activity will help them develop their critical thinking skills to effectively engage in research work. If you are one of those tasked to do so, here are five effective reading tips that will help you reduce stress associated with the need to read an endless queue of reading assignments. Once you commit yourself to graduate school work, you will face more academic responsibilities than you were in your undergraduate years. One of those responsibilities is to read more than you used to do. This is with the end in view of enriching your knowledge on theories or ideas that will help you build the conceptual framework of your thesis or research later on. But how much reading should you really make? Does reading all those stuff really matter? Are there ways on how to read more effectively? Of course, your reading assignment is not the kind of reading that you make for pure pleasure, but to get something out of it. And many of the assigned readings are not just a few pages of nonsense but thick pages of something to ponder upon. Usually, graduate students have to digest three to five books a semester. This is a challenge for those who are not used to reading books with thick pages such as novels. It is to your best interest and advantage if you follow a set of reading guidelines before doing any reading. This is not only to help you finish the required readings on time and actively participate in class discussion on the topic, but also to help you get the most of your reading without necessarily giving you a nervous breakdown. Figure out first what you intend to get out of that article, handout, journal or book before embarking on that long journey across words devoid of refreshing graphics. Unless you fully understand why that reading was given, it will be difficult to comprehend it. Ask yourself the two most important questions: “What am I looking for in this reading material?” and “Where can I find it?” These questions will help you avoid wandering on not-so-important sections of your reading material. This is common sense but many students fail to do this, i.e., making full use of the table of contents (TOC). If you really are hard pressed due to the limited time given to read a thick book, skimming through the TOC will be an effective strategy. Just read those items that you are not thoroughly familiar with or those that are relevant to the questions posed in #1. This works better than any speed reading technique ever devised. Why in the first place will you read something that you don’t need to? Just focus on those that align with your interest and get on with life. If you cannot make marginal notes right there on the reading material, you may just write notes and questions on a record book as you go along. Write the main topic on top and all your notes below. Notes remind you of the critical points you need to consciously store in your brain. Why use a record book and not a notebook or a plain sheet of paper? This apparently unimportant suggestion is very important for the very reason that the record book allows filing and labeling for easy retrieval. You will, therefore, avoid that common mistake of losing your notes. How should your notes be written? Make it as short as possible, noting only the important keywords. You need not rewrite the sentence, just make bullet marks for every important phrase and draw a star on those very important points made. Reading the summary of a section, if present, can save you a lot of time. The summary serves to “warm up” your brain and gives you an idea of what to expect upon reading the composition. Thus, it will be easy to digest the contents. Last but definitely not the least, use the TSPU principle in your reading venture. TSPU stands for Topic Sentence Paragraph Unity. Almost always, for a well-written composition, the topic sentence or lead sentence serves as the summary of the paragraph. A good book adheres to this principle. If the lead sentence appears vague, you may read the supporting sentences after it. The main purpose of sentences after the lead sentence is to enable the reader to understand what it means by expounding more on it. If the first sentence is quite clear to you, then there’s no need for you to read the rest of the paragraph. At this point, you will have a better idea on how to go about your reading assignments in the graduate school. Happy reading!